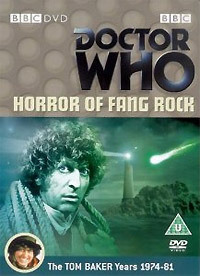 Horror of Fang Rock was commissioned in a hurry from veteran Who writer Terrance Dicks after his original vampire storyline for this season, ‘The Witch Lords’, was shelved due to the announcement of a big-budget BBC drama play adaptation of Bram Stoker’s ‘Dracula’. 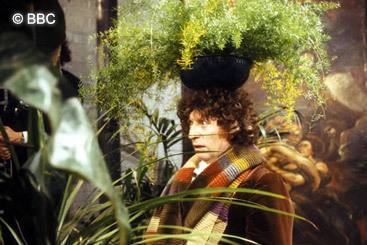 By the time new scripts were ready studio space at Television Centre was not and so, for the first time in the show’s history, Tom Baker and the rest of the cast and crew recorded Doctor Who at Birmingham’s Pebble Mill Studios. Gentlemen, I’ve got news for you. This lighthouse is under attack and by morning we might all be dead. 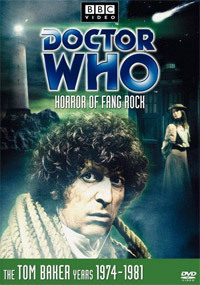 The Doctor breaks another promise to Leela when, instead of taking her to Edwardian Brighton, the TARDIS lands them miles away on the fog-shrouded island of Fang Rock whose solitary structure, a lighthouse is strangely dark. From one of the lighthouse crew the Doctor learns the tower has been suffering intermittent power losses ever since the fog bank moved in. 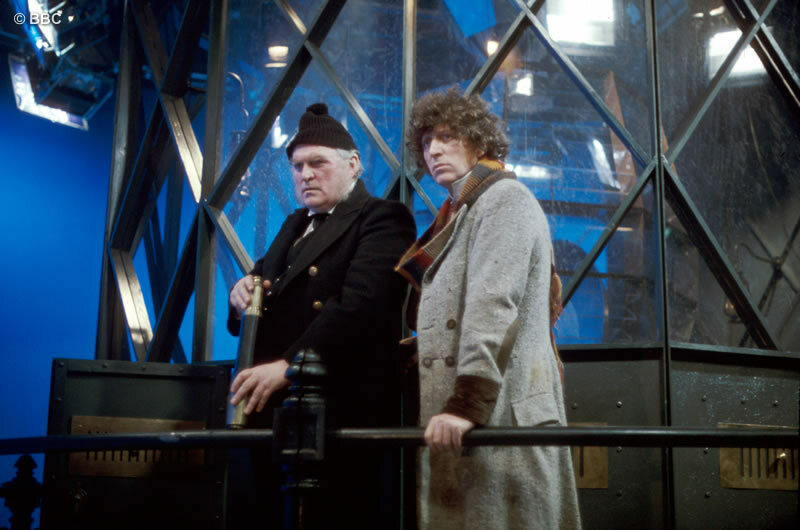 Matters worsen as the Doctor finds the dead body of senior lighthouse keeper, Ben (Ralph Watson). He has been electrocuted, but not due to any malfunctioning machinery. Leela glimpses a glowing, luminous green thing sliding amid the rocks outside, which may be connected to a bright fireball that fell into the sea earlier that day. Then a steam yacht crashes on the island. There are four survivors but their number steadily diminishes as their cunning assailant continues its murderous hunt. 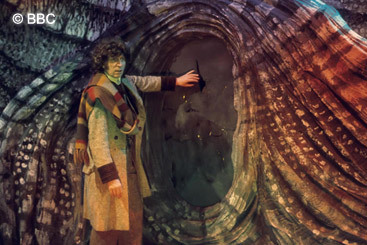 Confronting the beast, the Doctor discovers it is a Rutan: a shape-changing alien, part of a space-travelling race that has been at war with the Sontarans (see The Sontaran Experiment synopsis) for centuries. The Rutans are currently losing that war, and the creature facing the Doctor is on a mission to determine whether humankind could be overpowered by an attack on Earth. 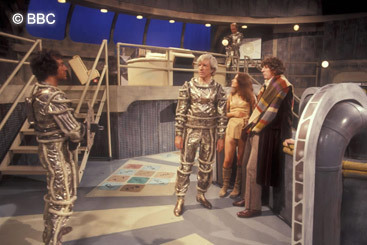 Their plan is to use it as a bridgehead in their counter-attack against the Sontarans. The Doctor kills the Rutan scout using the lighthouse’s entire stock of emergency flare rockets, but still has to deal with the creature’s mother-ship which is rapidly descending towards the island. 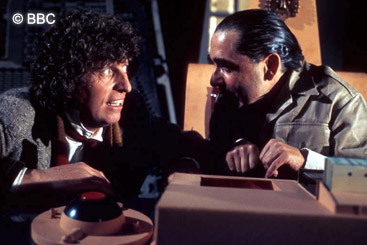 Hastily the Doctor improvises a makeshift laser weapon using the lighthouse’s powerful lamp, a diamond from one of the yacht’s passengers and part of the alien’s own technology. The exploding ship badly damages the lighthouse, and although he has saved the Earth from invasion, the Doctor has not been able to save any of the lighthouse crew, nor anyone from the yacht. 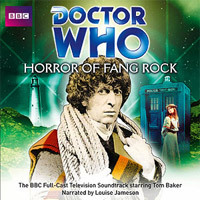 As he and Leela leave in the TARDIS, the Doctor sadly reflects that his actions have only served to reinforce the local legend of the Beast of Fang Rock.